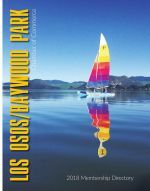 The Los Osos Community Advisory Council is the voice of the community for all land use issues affecting Los Osos. We are an 11 member volunteer group that advises the San Luis Obispo County Board of Supervisors, the County Planning Commission, and County staff on land use planning, trees & landscaping, traffic and circulation and other important issues that affect Los Osos. LOCAC is also a voice for protecting Morro Bay and the sensitive environment surrounding our community.